Our simple, smart, sophisticated and FABULOUS Inspiring Idea Project Cards are here! 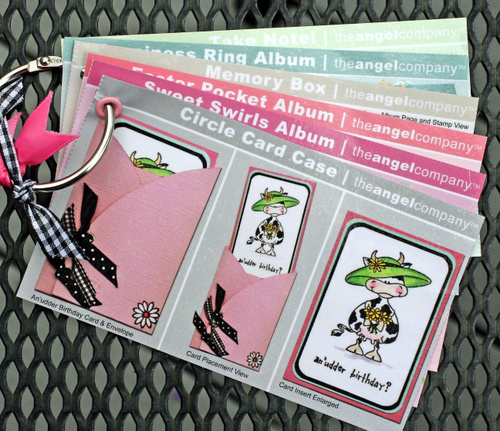 These wonderful new Project Cards have been designed to easily fit into a standard recipe box or store them on a ring. 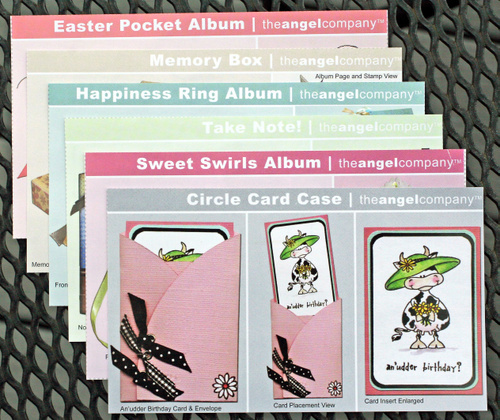 Now available in our Spring Supplement ~ simply contact your Angel to get your Project Cards today! Look for your next set of Project Cards in our Fall Inspiration Book available in June. When you simply need to be inspired ... reach for your Project Cards! I cut out my cards with my paper trimmer. Using my Crop-a-dile I punched a hole in the upper left hand corner of my Project Cards. I set a large pink eyelet through the first Project Card and then put them all on a ring. Of course ... I had to add a little ribbon to the ring ... just to make it pretty!